At Springs at Allison Valley, we don’t just welcome pets. We love them! We’re proud to welcome pets to our luxury community. We allow cats, dogs, birds, reptiles, fresh and saltwater fish, small furry animals, and most exotic pets to our pet-friendly apartments for rent in Northgate, Colorado Springs. 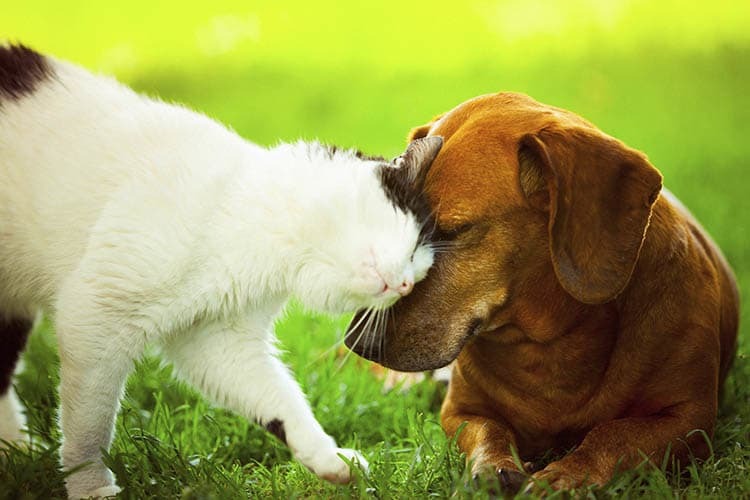 We’ve even designed our community to suit the needs of pets and pet-owners. Your indoor cat can take in the scenic views from your comfortable, temperature-controlled apartment. In the meantime, you and your dog can play with her favorite toy at the on-site pet playground. You won’t even have to worry about messing up your hardwood-style floors! If she gets muddy, stop by the pet spa area for a quick rinse before you return home. As an added bonus, our community partners with PooPrints, a DNA-based pet waste management company to ensure beautifully maintained grounds all year round. To inquire about our pet-friendly apartments for rent in Northgate neighborhood of Colorado Springs, Colorado, get in touch with the friendly team at Springs at Allison Valley today.